Spin-off initiatives leading to new partnerships, customers or teaming for competitive proposals to funded programs. Major existing facilities in the advanced computing and information systems research labs at UF, UA and Rutgers support the operation of the CAC Center. At present, facilities include cutting-edge computer systems and software infrastructuremirroring state-of-the-art capabilities found in industry settings. Its unique capabilities include upwards of 500 computing nodes based on Intel Xeon, AMD Opteron, IBM Power and SUN Sparc systems; 50 Terabytes of storage; commercial and open-source OS software and middleware for virtualization, database management, Web-Services, grid computing, P2P computing, etc. CAC resources are locally and externally connected via high-speed networks. 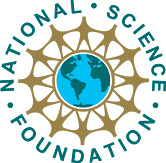 Per NSF guidelines, industry and government contributions in the form of annual CAC memberships ($35K/year per regular membership), coupled with baseline funds from NSF and university matching funds, directly support the Center's expenses for personnel, equipment, travel, and supplies. Memberships provide funds to support the Center's graduate students on a one-to-one basis, and thus the size of the annual membership fee is directly proportional to the cost of supporting one graduate student, while NSF and university funds support various other costs of operation. Multiple annual memberships may be contributed by any organization wishing to support multiple students and/or projects. The initial operating budget for CAC is projected to be approximately $1.5M/year, including NSF and universities contributions, in an academic environment that is very cost effective. Thus, a single regular membership is an exceptional value. It represents less than 3% of the projected annual budget of the Center yet reaps the full benefit of Center activities, a research program that could be significantly more expensive in an industry or government facility.